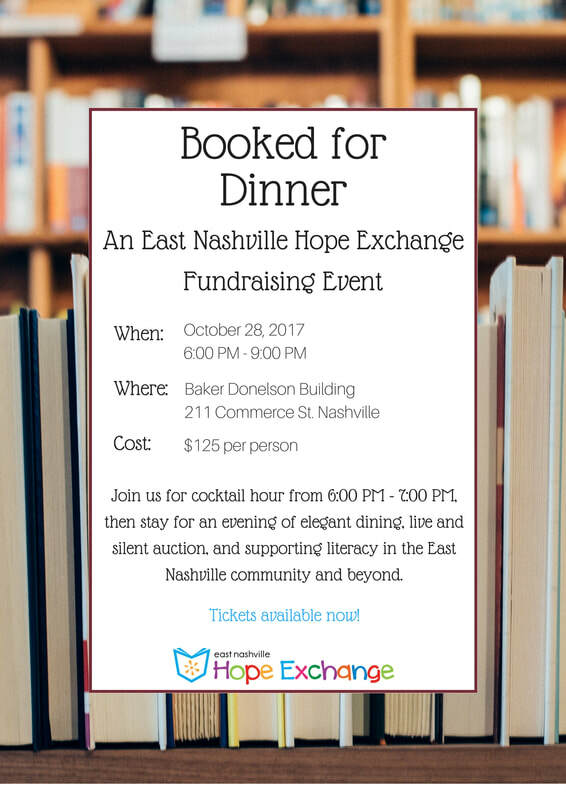 You're invited to Booked for Dinner: An East Nashville Hope Exchange fundraising event! Join us Saturday evening, October 28th, 2017 for cocktail hour at the Baker Donelson Center from 6:00PM-7:00PM, then stay for an evening of elegant dining, live and silent auction, and supporting children's literacy in the East Nashville Community and beyond. We would be honored by your presence and support!